After a night of rest, it was time to see what I could of Paris in my second day. 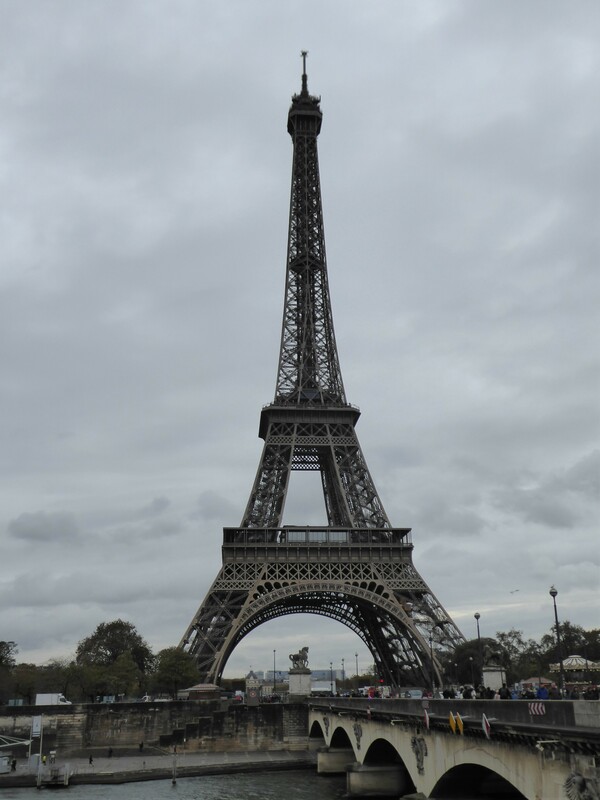 The first stop was a return to the Eiffel Tower, to see how it would look in the day time. The view is a bit different, since the tower can be seen in full and not just lights. 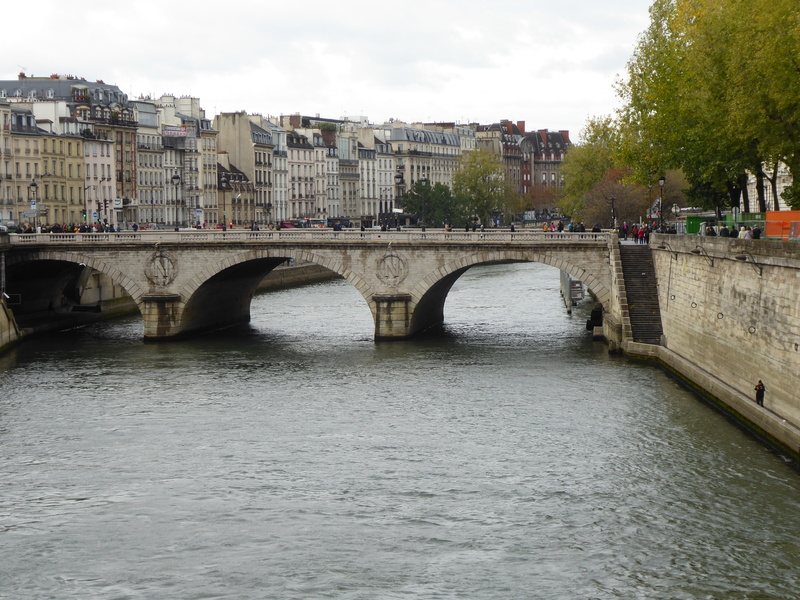 However, the river Seine is a beautiful viewpoint in its own right. The mix of the river and the tower is more impressive than the tower itself. From here it was off to Notre Dame. Due to the lack of time, I didn’t go in, but just took a picture from the outside. In my personal opinion, charging money to enter any religious place of worship is wrong, so this played into my decision also in a subliminal sense. 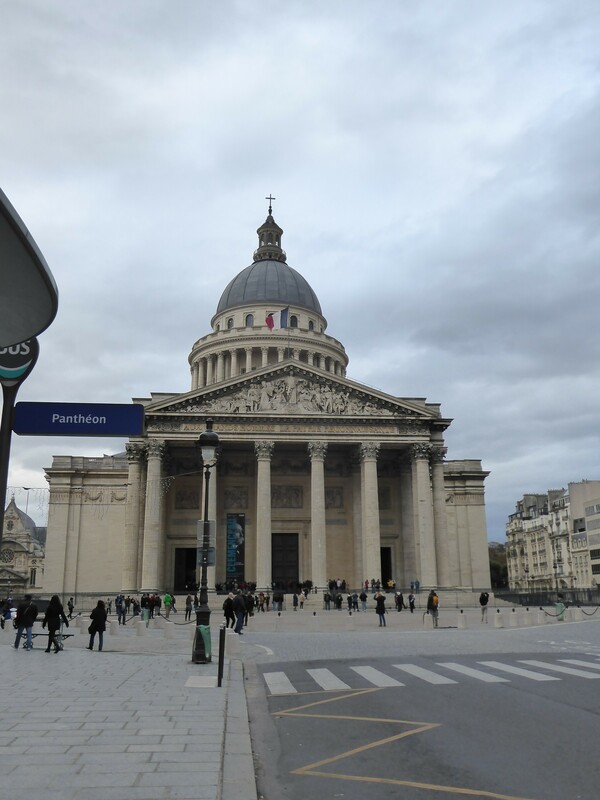 From here, it was off to the Pantheon. Again, I didn’t step in, but just took some shots outside. I had already seen the one in Rome in 2005, so I didn’t feel the need, besides not having the time. On the way, I couldn’t help but admire the gorgeous architecture all around. 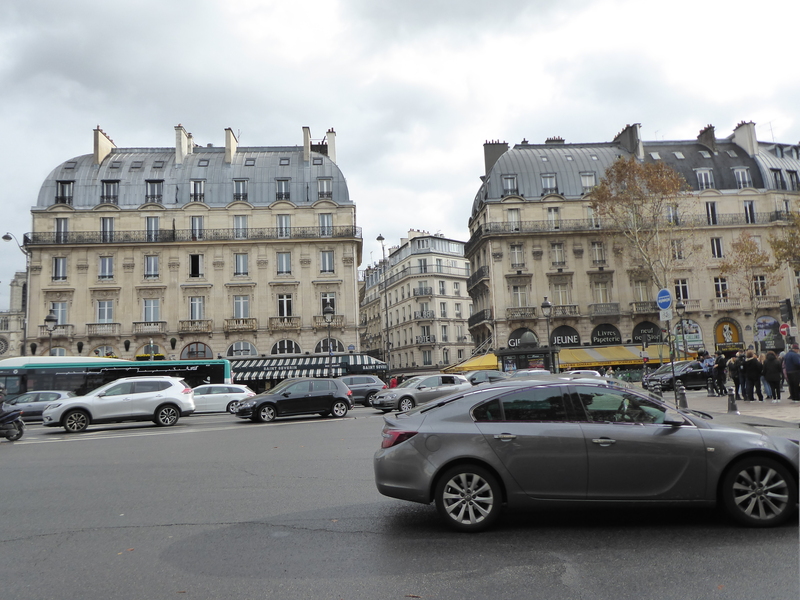 To me, this was the best part of Paris, the architecture and how it is maintained. 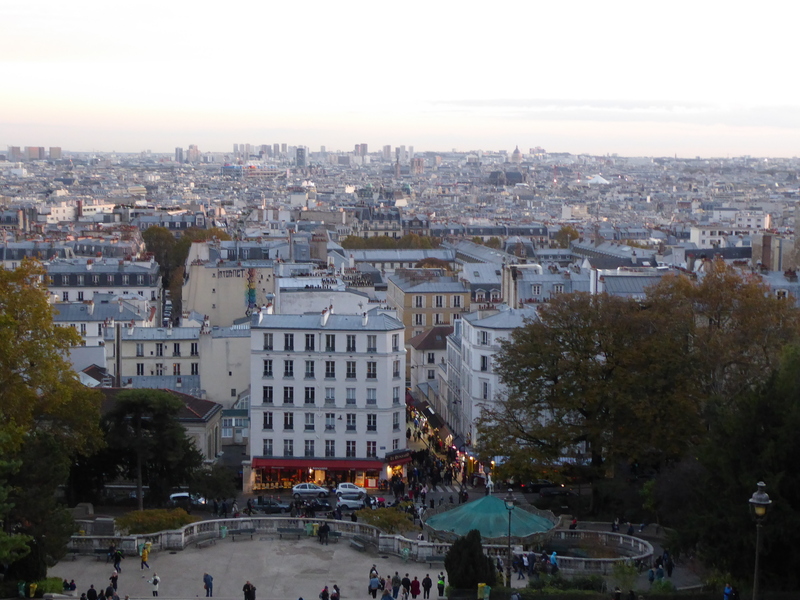 From here, the last destination was Sacre-Coeur. It is a church on top of a hill at which a good view of the city can be seen. Again, going to the destination was as interesting as it itself. 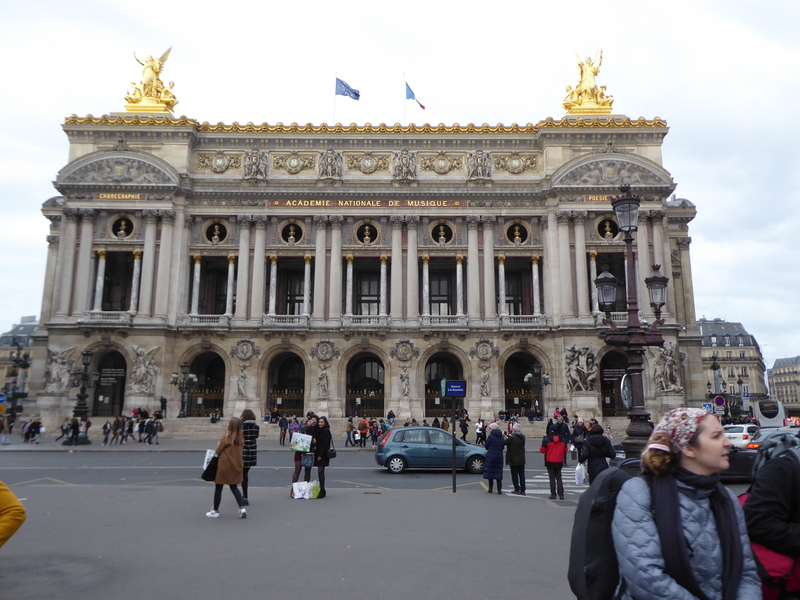 Somehow, I ended up at the Paris Opera house on the way, yet again another fantastic building. 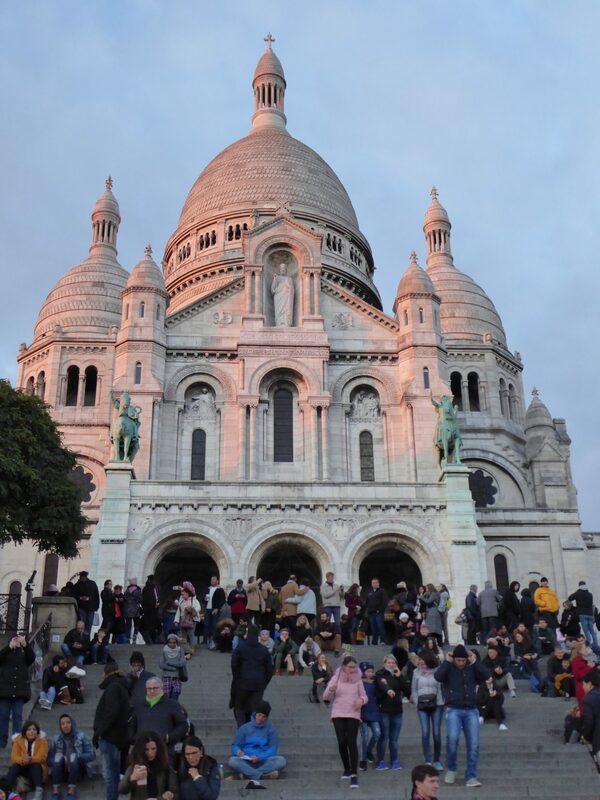 To reach Sacre-Coeur, there are two options, a short funicular to the top or a lot of stairs. I decided to do the walk on the way back since sunset was approaching. The view is amazing, but then again not too different from what I’ve seen in other cities around the world. Finally, it was time to dinner. 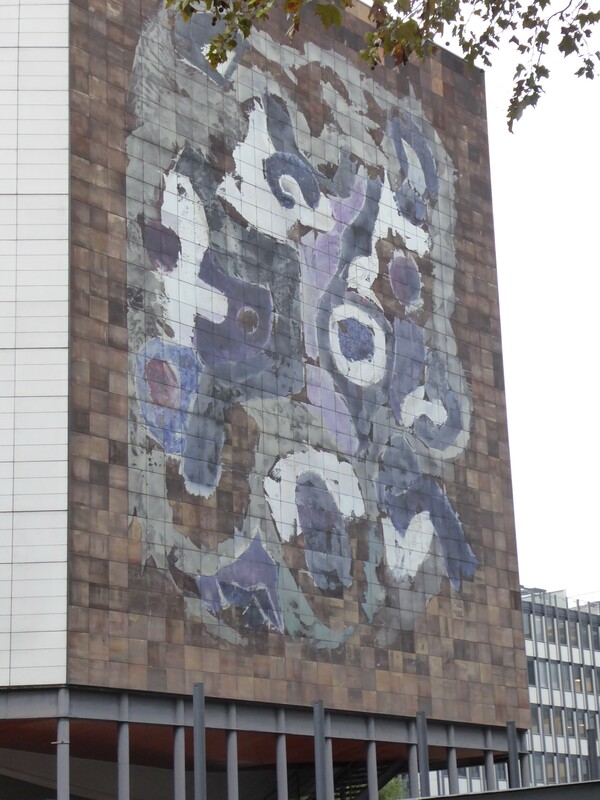 On the way, I saw this interesting mural randomly on the side of a building. Interestingly, the Republique neighborhood had a lot of Asian eateries. 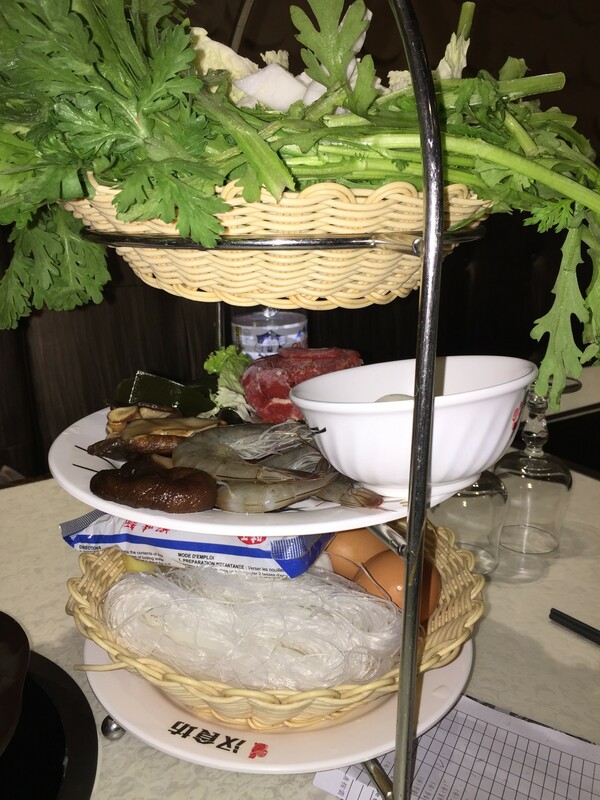 I decided to go to a Chinese fondue place. Essentially, you choose the meats and spices you want, and are given a boiled pot of water to cook it. From what I was told, this seems to be popular in Hong Kong. There is some irony to eating this in Paris, but my experience with French food was nothing special the day before. Overall, my experience in Paris was basically to check it off to say I have been there. 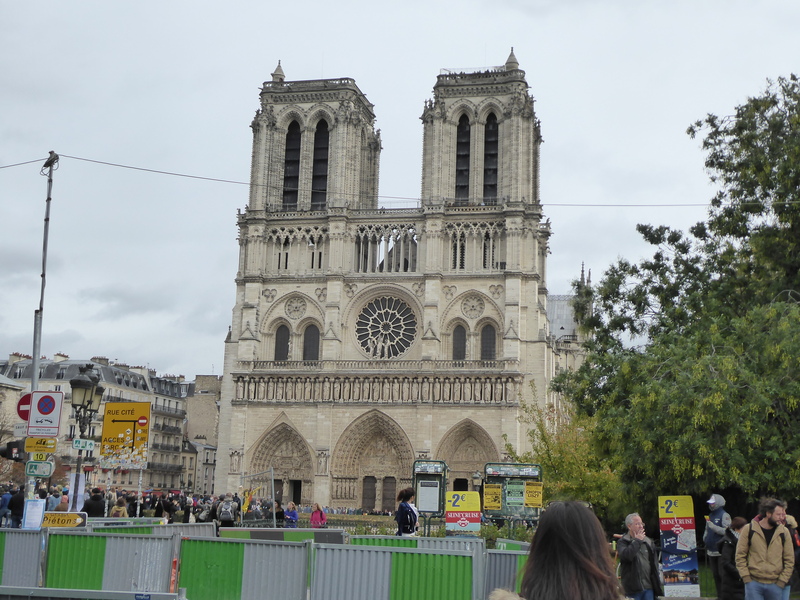 It is truly a beautiful city architecturally, but unless you have some particular interest in the French language or culture, I would not go out of my way to see it. I did not feel the vibe that I have felt in other places, the energy, besides in the Chinese restaurant. My memory will be beauty but lots of tourists and high prices. It is well behind my favorite European city, Rome, and even London. Not that my opinion will affect anyone’s decision, but I feel it is my duty to share it.